Brambles is committed to zero environmental harm including eliminating deforestation while protecting, restoring and promoting the sustainable use of forests in its value chain. Brambles aims for 100% chain of custody certification for all lumber supply by 2020. The secure supply of wood is critical to Brambles. Throughout our global network, CHEP uses timber for the manufacture and repair of pallets used in the circular pooling model. Brambles has implemented a rigorous timber procurement system that includes strong preference for certified source timber and timber carrying chain of custody certification, certification to the Forest Stewardship Council (FSC) standard or Program for the Endorsement of Forest Certification (PEFC), as well as the conduct of internal due diligence to ensure that our lumber sourcing does not contribute to deforestation. Our pallets are generally made from the parts of a tree that are not suitable for use in high quality products like furniture and flooring. - Why is sustainable forestry important? Forestry management is a material issue for Brambles because our pallet pooling model is directly linked to a sustainable and healthy forest resource. Brambles’ target of having 100% of its purchased timber covered by chain of custody certification is a clear commitment that complete traceability of timber supply is critical to our business, to society and to addressing climate change. The features of sustainable forest management are responsible harvesting, reforestation and biodiversity preservation, while protecting natural forests and the supply of resources into the future. Sustainable forestry will also avoid timber harvesting associated with unethical practices towards human rights and labour standards as well as environment management. Brambles and many of our customers made the We Mean Business (WMB) deforestation commitment in 2015. This highlights the importance of global partnerships (United Nations Sustainable Development Goal 17) in addressing sustainable forestry management and the shared challenges in addressing commodity linked deforestation in supply chains. Brambles’ commitment to 100% chain of custody for all timber procurement by 2020 aligns with and will assist our customers as they work towards fulfilling the WMB commitment. A sustainable supply of resources underpins long term business value. Brambles long ago recognised the commercial value of sustainable forestry for our stakeholders. In FY18, Brambles achieved 99% certified sourcing and attained coverage under chain of custody certification for 66% of the total volume of pooled pallet timber purchased. In the same period, Brambles committed to removing commodity driven deforestation from all supply chains by 2020 through the Carbon Disclosure Project Forests and the We Mean Business (WMB) programs. Brambles is committed to zero environmental harm including taking action on climate change and addressing its impacts through our value chain. 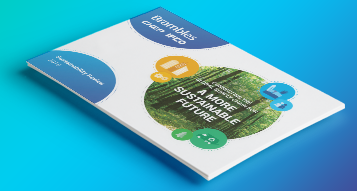 Brambles commits to achieving a 20% reduction in carbon emissions per unit delivered by 2020. Carbon emissions generated throughout Brambles’ supply chain contribute to climate change. Taking action on climate change and addressing its impacts through our value chain is a business priority. Brambles will continue to work within its direct business as well as with material suppliers and collaborate with customers to reduce the carbon intensity of our activities. - Why is climate change important? Climate change has direct and indirect negative consequences on financial, human and natural capital and is an issue that highlights the complex interdependency of these systems. Evidence suggests the impacts of climate change on business and society is already occurring, with the global average air temperature increasing by around 0.85 degrees Celsius since 1880.1 It is believed that if climate change is not adequately addressed, it will damage cities and infrastructure, disrupt global supply chains and exacerbate issues of food security and water availability.2 Climate change will cause market uncertainty, increase the costs of doing business and affect global prosperity. Addressing climate change requires significant reductions in carbon emissions from burning fossil fuels as well as implementing adaptation strategies. The Intergovernmental Panel on Climate Change has provided an upper limit of 2 degrees Celsius or less increase to average global air temperatures in order to avoid the most significant impacts of climate change. Brambles directly and indirectly operates approximately 850 service centre facilities globally. In 2015 facilities owned and leased by Brambles emitted approximately 53kT CO2-e, and outsourced facilities emitted approximately 110kT CO2-e. Improving energy efficiency and renewable energy contributions at our facilities will reduce the emissions intensity of our operations and help us to achieve our target of a 20% reduction in carbon emissions per unit delivered by 2020. This represents the largest direct opportunity for Brambles to address climate change. Our efforts to reduce carbon emissions from our facilities complements our Better Planet commitments to Zero Deforestation and our Better Communities programs, specifically our reforestation projects. By reducing carbon emissions in our facilities through energy efficiency and renewable energy programs, Brambles can offer customers a leaner, more cost-effective service and reduce the carbon intensity of their value chains. This complements our customers’ sustainability strategies and assists them to prepare for any voluntary environmental compliance and regional or national regulatory changes. Brambles works across its businesses and with key customers to reduce the carbon intensity of the pallet pooling model. Between 2010 and 2015, Brambles’ sustainability strategy helped to achieve our target of 20% carbon emissions reduction. In FY18, Brambles achieved an emissions intensity reduction of 35% (measured as kg CO2 per unit). For customers, our multimodal and collaborative transport programs saved more than 53,000 tonnes of carbon emissions by removing over 62 million kilometres in trips. CHEP offers customers a Carbon Neutral pallet for customers in Europe, North America and Australia looking at reducing carbon in their supply chain. Brambles is committed to zero environmental harm by eliminating product waste to landfill and pursuing continuous improvement in our circular business model. Brambles commits to achieving zero wood waste and plastic waste to landfill by 2020. Brambles recognises the true value of the natural capital contained in our products and the importance of our circular business model for a sustainable economy. We provide sustainable consumption solutions for customers through our pooling model, whereby we maintain ownership and responsibility for our pallets, RPCs (reusable plastic crates) and containers throughout their life cycle. This pooling model eliminates the need for customers to purchase and manage their equipment, which reduces waste impacts from their supply chains. Our objective of zero environmental harm and target of zero wood and plastic waste to landfill for pooled equipment by 2020 improves the environmental benefits of our pooling model. Pallets are biodegradable and plastic and steel is recoverable for perpetual recycling. - Why are sustainable consumption and production important? The Global Footprint Network reports that humanity’s ecological footprint2 would require 1.6 Planets to meet humanity’s demands on nature.3 It is forecast that by 2050 global resource use will have tripled;4 while, some resources are expected to last no longer than 20 years. This trend is driven by the take, make and dispose linear business model which overlooks the true value of stocks of natural capital that provide the raw materials for the production and consumption economy. Addressing unsustainable production and consumption patterns requires a rapid move from the linear model to a circular and sharing model. In a circular economy, goods are designed to be long lasting, easy to repair and reuse, easy to disassemble and easy to remake into items that are as good as, if not better than, their original products. 4 EY: Are you ready for the circular economy? The necessity of an integrated approach. Our strategy to achieve zero wood and plastic waste by 2020 requires waste timber and plastic classified in end-of-life condition to be fully recovered for another industrial process. This may occur by reusing plastic from RPCs to make new RPCs or by supplying degraded pallet timber for garden mulch or bioenergy. Ernst and Young’s report Are you ready for the Circular Economy – The necessity of an integrated approach identifies five circular business models for organisations to adopt to prepare for resource constraints, higher consumer expectations and greater supply chain transparency. 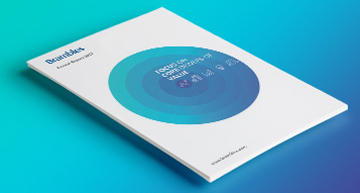 The Brambles circular business model includes all five best practice circular business models. Brambles has a zero timber and plastic waste to landfill commitment. Wooden pallets are biodegradable and plastic and steel recoverable for perpetual recycling. Brambles also has an active program of recovering materials from pallets, RPCs and containers for reuse in product repair or recycling. Brambles has an active program of recovering materials from pallets, RPCs and containers for reuse in product repair or recycling. Brambles’ services centres recover, grade, repair and redeploy all returnable assets to ensure material life is maximised and product quality is maintained. Brambles has used environmental life cycle assessment (LCA) to establish the environmental advantage of reusable pallets and RPCs over one way or single use alternatives. Platform models: Products and services can be used more efficiently, when goods that are (temporarily) not being used, are made available to others. This can be done by offering platforms for collaboration among product users, either individuals or organisations. The Brambles business model represents global best practice for sustainable production and consumption as recognised by the Ellen Macarthur Foundation (EMF) in 2015. EMF rated one of Brambles European pallets as having a ‘Circular Economy Index’ of 0.87 where a score of 1 is perfectly circular, putting Brambles in the exclusive Circular Economy 100 (CE100). Customers benefit by consuming Brambles’ logistics networking services and sharing our assets, not physical packaging products. Our circular pooling model eliminates the financial and environmental costs for customers of purchasing and disposing of one-way platforms such as single use pallets or cardboard boxes. This addresses the environmental impacts of product waste at end of life and improves the sustainability of our customers’ supply chains. The alternative to pooling – one-way platforms – transfers platform ownership to the customer as well as the direct financial purchase and disposal costs and indirect reputational risks including the environmental life cycle impacts associated with single use packaging. The risk is increasingly important as timber products including pulp and paper packaging, such as cardboard, will be placed under greater scrutiny as consumer expectations for transparency rise, government regulation tightens and the global community focuses on commodity driven deforestation and climate change. Our pooling and sharing models operate on the principles of recover, reuse, repair, redeploy, reduce and recycle. This continuously improves our business performance by maximising product utility while reducing raw material consumption as well as waste and recycling costs. 94% of Brambles’ largest pallet and 100% of our largest RPC service centres have secondary uses for unusable materials, ensuring they are diverted from landfills. Customers sharing and reusing our wooden pallets saved at least 1.7 million trees and least 4,100 Mega Litres of water. Customers sharing and reusing our products meant 2.6m tonnes of CO2 and 1.4m tonnes of waste was eliminated from their supply chains.